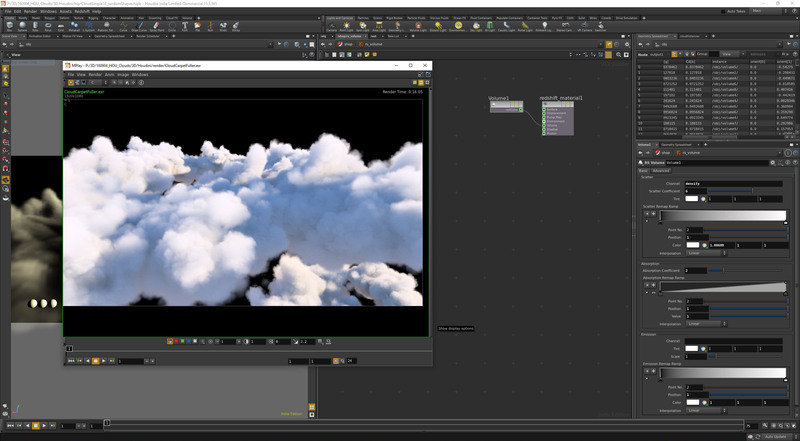 The goal was to achieve a simple cloud setup with Houdini & Redshift, just with fractals and without simulations. To avoid one single huge VDB grid, i decided to pre-cache volume instances and scatter them back on geo. 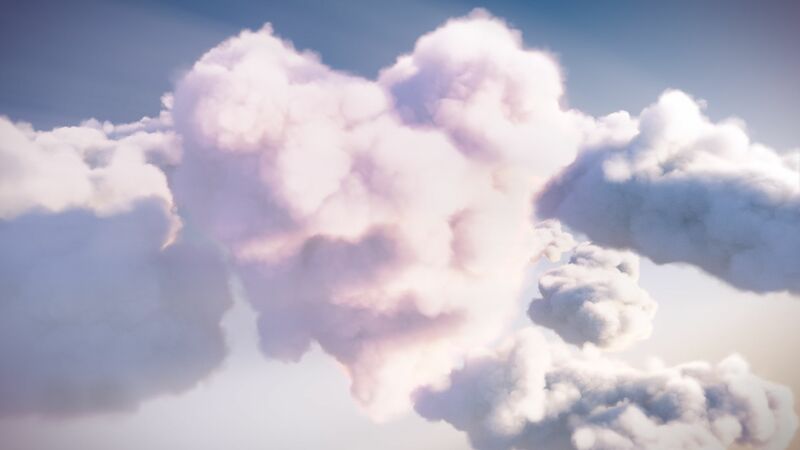 Down belowe i summarise some steps for my simple fluffy cloud setup. 1.Started with one single piece to check fractal animation. 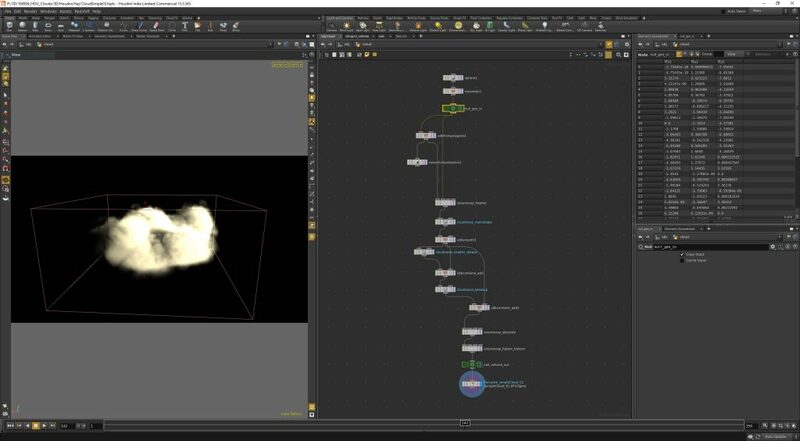 2.Create multiple static instances per frame and cache them out. 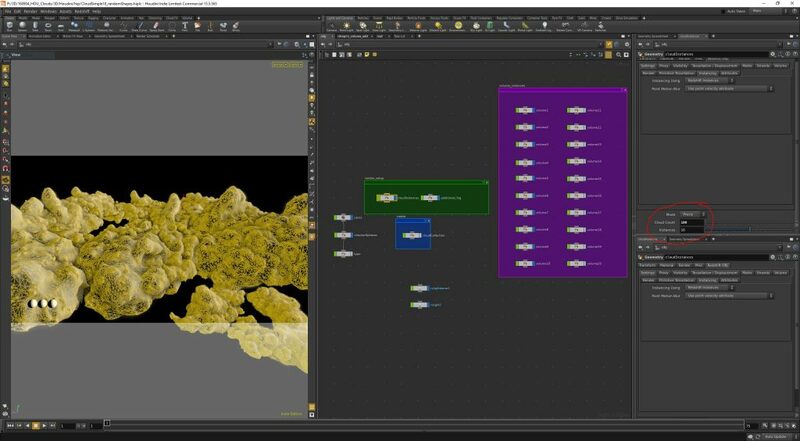 3.Scatter points on a noised grid and add the dummy-geo to previz the cloud carpet. For randomness some stamps on pscale, orientation and shape (here 10 shape variations). 4.Point positions are used for instaces, based on the attributes. 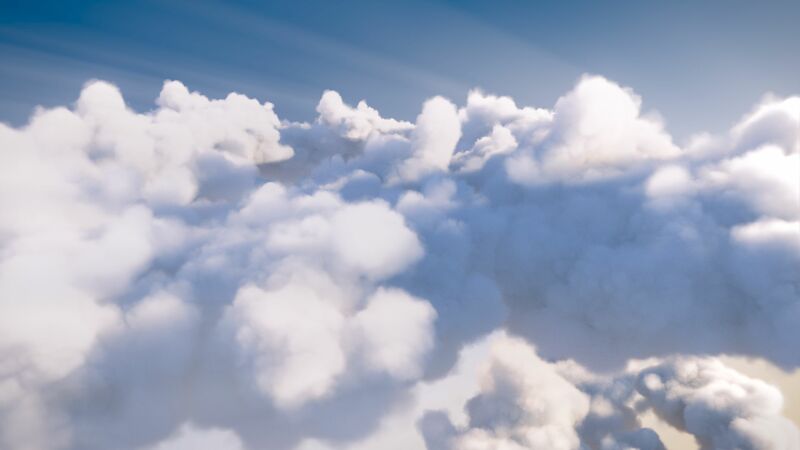 A rough fog VDB is added to fill some gaps and to mimic some kind of haze around the clouds. 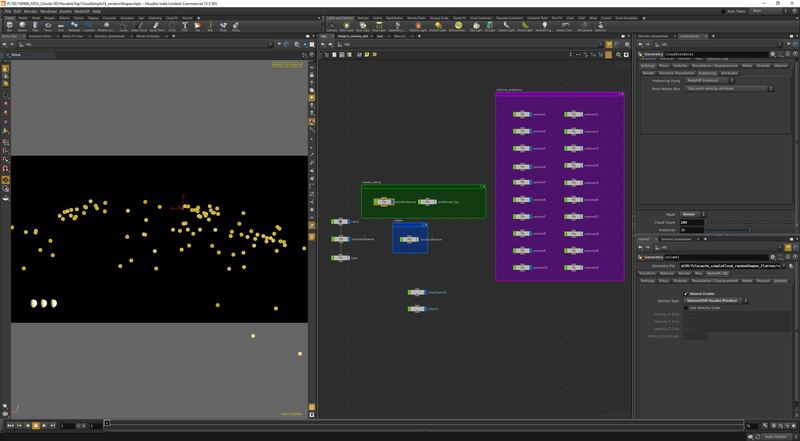 5.Rendering output with the redshift volume shader. In Fusion i added rays, background, color-corrections.